PMI materials provide reflective, electrical, decorative and wear-resistant properties in applications that include architectural glass, automotive, consumer electronics, optics, window and door hardware, machine tooling, medical device, semiconductors, photovoltaics, flat and touch panel displays and more. 1. 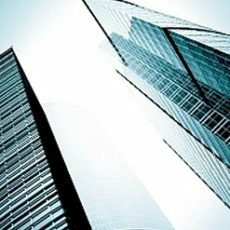 Architectural Glass materials are highly transparent and neutral in color, tinted solar and low-e solar control combinations. Materials for low-e glass include: Ag/Ag alloys, Bi, Cr, Nb, NbOx, NiCr, Si, Sn, Ti, TiO2, ZnAl, ZnSn, ZnO/Al2O3, etc. PMI has a broad variety of sputtering targets and materials for the decorative coating industry. From bathroom and kitchen faucets to candlesticks, we have the products to help you create your decorative items with superior coating. 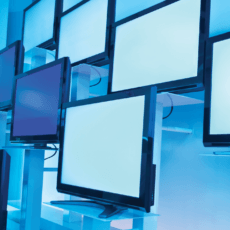 Flat Panel Displays are electronic viewing technologies that show content in a range of entertainment and consumer electronics, as well as many types of medical, transportation and industrial equipment. A Flat Panel Display, like all LCD displays, is made primarily of two pieces of glass with liquid crystal material between them. Varying electrical current is applied to the liquid crystal material to rearrange the pixels to display the appropriate images. Flat panel materials include Al, Al2O3, Cr, Cu, ITO, Mo, Nb, Ni, SiO2 Reactive SiO2 is used in this technology. 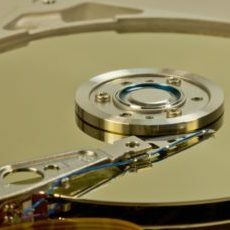 Magnetic Storage devices store data using a combination of magnetic fields and binary data. As technology improved and allowed the storage devices to hold more data and do so more efficiently, the size advanced from kilobytes to terabytes. Chromium is the primary material used in this application. 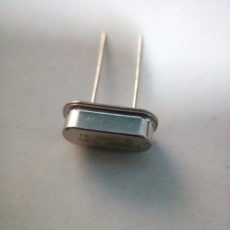 Semiconductor materials are nominally small band gap insulators. They have a resistance higher than typical resistance materials but still much lower resistance than insulators. Their resistance decreases as their temperature increases, opposite that of a metal. 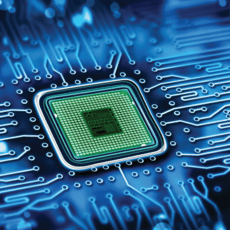 The defining property of a semiconductor material is that it can be “doped” with impurities that alter its electronic properties in a controllable way. Materials used in semiconductors include: Si, Ge, Sn, SiC, Te, BN, AlN, GaN, CdTe, InN, InAs, CdSe, CdS, ZnO, ZnSe, ZnS, ZnTe and numerous other materials and alloys. 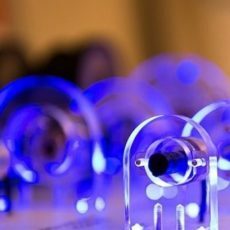 Optoelectronics is the study and application of electronic devices that source, detect and control light. In this context, besides visible light, invisible forms of radiation are included, such as gamma rays, X-rays, ultraviolet and infrared. Optoelectronic devices are electrical-to-optical or optical-to-electrical transducers or instruments that use such devices in their operation. Materials used in optoelectronics are similar to those of semi-conductor materials, such as Si, Ge, Sn, SiC, Te, BN, AlN, GaN, CdTe, etc. Optical Discs are most commonly used for storing music (e.g. for use in a CD player), video (e.g. for use in a Blu-ray player), or data and programs for personal computers (PC). The Optical Storage Technology Association (OSTA) promotes standardized optical storage formats. 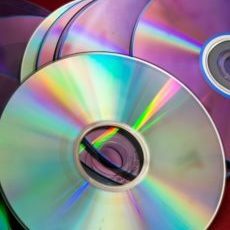 Although optical discs are more durable than earlier audio-visual and data storage formats, they are susceptible to environmental and daily-use damage. Libraries and archives enact optical media preservation procedures to ensure continued usability in the computer’s optical disc drive or corresponding disc player. Raw materials used in this industry include Al, Ag and Au. Assemblies of Photovoltaic cells are used to make solar modules, which generate electrical power from sunlight. Multiple cells in an integrated group, all oriented in one plane, constitute a “solar photovoltaic panel” or a “solar photovoltaic module,” as distinguished from a “solar thermal module” or a “solar hot water panel.” The electrical energy generated from solar modules, commonly referred to as solar power, is an example of solar energy. 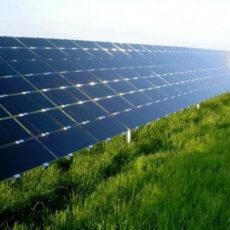 Photovoltaic materials include Ag, Al, CuGa, ITO, Mo, Ni/NiV, Sn, ZnO/Al2O3 and ZnAl. The protective wear resistant and corrosion coatings process offers solutions for a broad variety of applications in various industries. The products, themselves, eliminate corrosion from forming and at the same time, reduce wear caused by friction and increase the lifespan of equipment. The primary function of wear resistant coatings is to prevent the metals in pipes, valves, tools and other equipment from corroding. Wear resistant coatings have been proven to decrease problems caused by extreme corrosion. 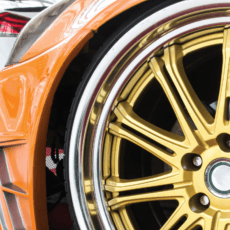 The surface hardness technology allows wear resistant coatings to have a longer lifespan than stainless steel products. 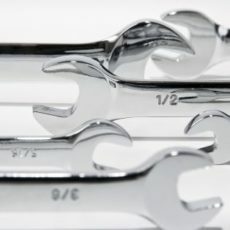 Wear resistant coatings provides the engineering and industrial design industries ways to improve performance of all types of tools and equipment.